Cutworms are unpleasant garden pests that can destroy many plants, including tomatoes, cabbage, beans and peppers. They are actually larvae from certain types of moths. Cutworms look like caterpillars and can be gray or brown. If you poke them, they curl into a "C" shape. Young plants are especially vulnerable to cutworms but the danger often passes as the spring passes and the plants grow bigger and stronger. A cutworm collar is a barrier around the base of the plant that the worm cannot climb over. There are several methods of making the collars. Fold aluminum foil into a 4-inch-wide strip and make it into a circle. Place it around the base of the affected plants and bury 1 inch deep. Remove the top and bottom of a tuna fish can, or other small can, with a can opener to make a sturdy cutworm collar. Slip the can rings over the tops of plants before they grow too large. Cut toilet paper rolls in half with scissors or paper towel rolls in fourths to make rings to protect very small plants. For larger plants, slit the side so the tube can be opened and placed around the stem. Fold newspaper into 4-inch strips and encircle affected plants with the strips. As the plant grows, the newspaper breaks down and nourishes the plant. 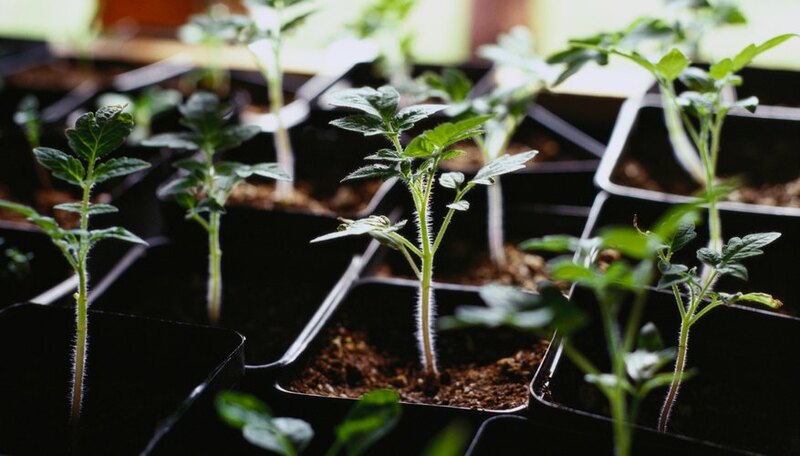 Cut the bottom from paper, polystyrene or plastic disposable cups into circles and slip them over the tops of young plants. Cut rings from soda bottles and place them around the base of affected vegetation. Inspect plants in the morning to detect cutworm damage. Plants may be cut off near the ground or be wilting from stem damage. Cutworm droppings may be present around the stem, or soil clumps under the soil around the plant indicate their hiding places. University of Minnesota Extension; Cutworms in the Garden; Jeffrey Hahn, et al.